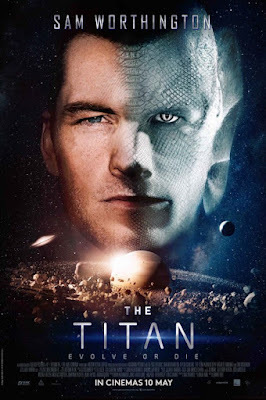 SCARY FIRST TRAILER AND POSTER FOR SCIENCE FICTION ACTION MOVIE 'THE TITAN' WITH SAM WORTHINGTON AND TOM WILKINSON! with Sam Worthington as a superhuman futuristic soldier! The movie which also stars Tom Wilkinson and Taylor Schiling should be out in cinemas this April. Hotshot Air Force pilot, Rick Janssen (Sam Worthington), is chosen for a military experiment that will create a human being capable of surviving the harsh environments of Saturn's moon, TITAN. The experiment is successful, turning Rick into a super human, but it also creates deadly side effects which threatens the life of Rick, his wife and family, and possibly humanity itself. Did you know that this is Sam Worthington's third film with Titan in its title after Clash of the Titans and Wrath of the Titans! And all three were shot in the Canary Islands!